Those metal picture frames were a great yard sale find! I finally did re-work the photo display idea. Please access the second blog entry that I wrote this month - October of 2012. 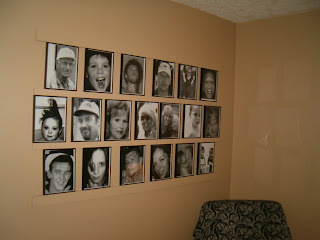 Let me know what you think, please, of our newest photo display. I like to use push pins (not thumbtacks)for hanging pictures. The work great and can easily be moved around. Other then 2 very heavy items I have never had a problem. One was an outdoor sun wall hanging and the other was a circular tealight holder. The tealight holder required 2 pins side by side and the sun did require a screw to hang. 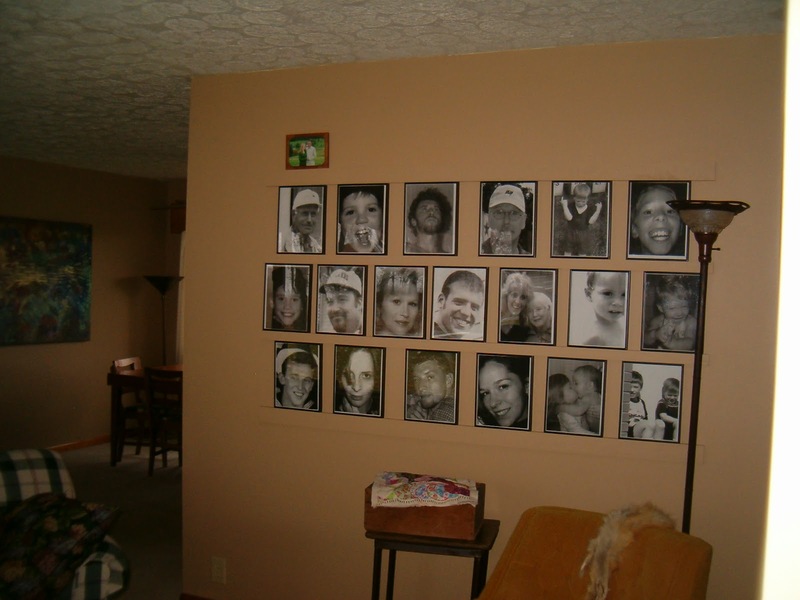 I have 24 photo slot frames hanging by push pins, and they are have always held great, even with 2 children who bounce all over the place. 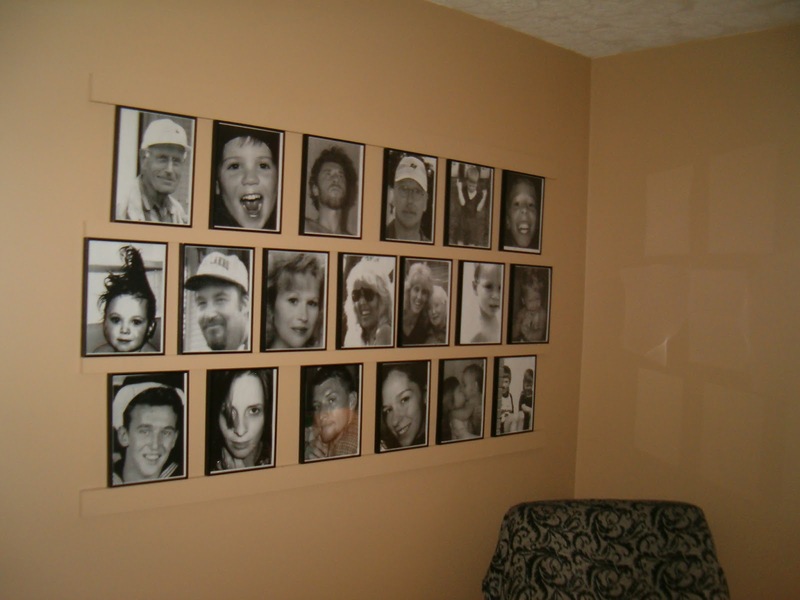 This works great for someone who moves photos around a lot like me, or renters, as the holes left are very minimal and easily fill back in when room is repainted. Oh, oh! You reminded me of something: I cut some of that blue-board styrofoamy stuff to the wall between shelves in our office area, covered it with wallpaper, so I'd have a sort of cork board wall for photos. I never thought to share that project; that is the oh, oh part of the whole thing! Love the pushpin idea. You are so right: The holes would be covered by any subsequent paint! Great idea. And one other thing: When my BIL was here to visit one day - the first visit from him since we moved here - he commented about all the photos we have on display. 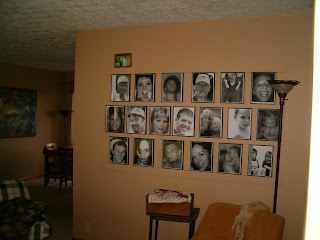 I'd never really thought about it, but his comment made me realize that not everyone uses photos in their decorating! Funny! In my opinion, nothing personalizes the decor quite like photos. I just assume that everyone feels this way!